Rising Sun Commerce worked with the British brand Kid Transit* to launch their 1st product into Amazon Japan. Within a few months they were in the Best Seller position and selling 10 to 20 units per day (at a price higher than their competitors). You can read the full Case Study about this here, but in this article I am going to summarize the main steps that lead to Kid Transit gaining the Best Seller spot in their main category. * DISCLAIMER: Kid Transit is a brand owned by the co-founder of Rising Sun Commerce, Neil Curtis. However, we approached this new product listing just like we would with any client. The goals and results discussed here are applicable to any product by any brand. With Kid Transit the goal was not to reach Best Seller, instead it was to gradually establish the brand and product on Amazon Japan and slowly ramp up sales to a level we were all happy with. 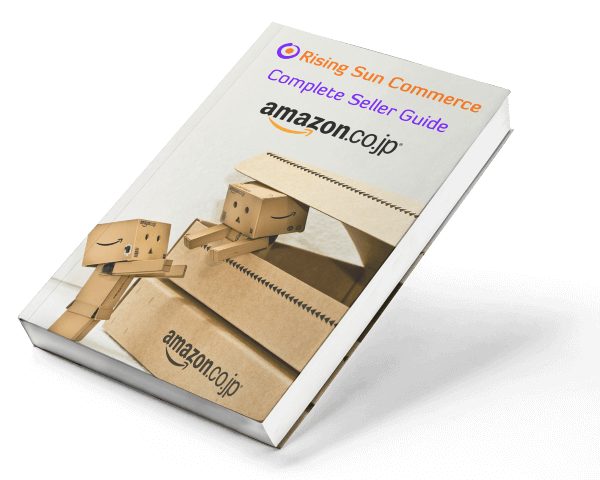 This is an approach we recommend because there are many factors that can impact on Best Seller status, so establishing the product on Amazon Japan is the first step all new products need to follow. The goal of this launch batch of Kid Transit products was to break even (or maybe even make a small loss), but in the process reach 20+ Product Reviews, 10+ Seller Feedback, and to get to a sales level of between 5 to 10 sales per day at our preferred price point. This was between 1800 – 2200 Yen. In principle getting to Best Seller on Amazon Japan is relatively straight forward. However the approach we took relied on spending money on Amazon Sponsored Listings (PPC) and also time. We did not rush things and understood from the onset that this was a process that would take a few months. It took us approximately 7 to 8 months to reach this Best Seller position. Now we are Best Seller we have been targeted by other sellers who are coming in at very low sale prices. We are talking 1/2 of our sale price at times. As a result we often lose top spot, but because these other sellers are not able to maintain their low prices and the fact we have a good base of positive reviews means we soon regain top spot. Below is a screenshot of units sold (weekly) since we launched Kid Transit’s products back in October 2016. You can clearly see the sudden jump in sales once the Best Seller ranking was achieved in early June 2017. Sales were roughly 10 to 20 per week (approximately 3 per day) for a long and consistent period. In May 2017 sales started to pick up a little due to a number of reasons. We accumulated more reviews, competitors went out of stock and/or made fewer sales and thus fell down the rankings, and likely our selling history reached a level that gained more trust by Amazon. We moved to position 2 to 3 in the Best Seller rank for our primary category and resulted in sales jumping to 30 to 40 units per week (approximately 5 per day). This lasted for about 3 weeks and then the product jumped up to #1 in the category. The main competitor disappeared from the rankings (they either went out of stock or were restricted from selling) and this meant the Best Seller status was achieved. Sales jumped to 80 to 90 units per week (approximately 10 to 15 per day) with a peak of 18 units in a single day. We increased the sale price to 2000 Yen (our target high price point) and combined with increased sales resulted in a peak revenue day of 32000 Yen (approximately £220). While not massive compared to some sellers on Amazon, £220 in a single say from 1 product that has only been selling for 8 months is a great achievement. Also, this is a relatively low cost product, so generating £200+ sales in a day is great. There are 2 main factors needed to achieve Best Seller rank. To get eyeballs on your listing you need to appear high up in Amazon search results for your target keywords, you need to appear high up in category Best Seller lists, or you need to spend money on Amazon Sponsored listings (or other Amazon advertising). You can also drive people to your listing from off-Amazon sources, but Kid Transit only focused on Amazon traffic sources. When starting our with a brand new listing you really need to consider spending money on Amazon PPC advertising. Unless you are in a very non-competitive niche you will not make sales (or very few) based off organic visitors only (i.e. Keyword searches or category lists). Kid Transit spent money on PPC immediately after the listing was created. In month 1 only £47 was spent, this was low because we took a cautious approach until the listing started to get some positive reviews. In month 2 Kid Transit spent £144 and in all subsequent months £250 – £350 has been spent on Amazon PPC in Japan. In total it is approaching £1700 in PPC spend for this initial launch batch of products. For conversions there are 2 main factors. One is how your listing looks & reads (title, images, bullets, description) and the other is product reviews. You can control and iterate on your listing to increase conversions this way (Kid Transit’s listing was iteratively improved over time), but until you get a good set of positive reviews, sales will always struggle to some extent. To get reviews you need to sell, so there is a bit of a catch 22 here. However, if you follow up with customers you can help encourage more reviews, although the number of reviews to product sales is always going to be low. Anything around 4% or 5% is good (i.e. 4 or 5 reviews for every 100 products sold). This is the exact approach Kid Transit embarked on. Once the listing achieved around 5 reviews there was a slight increase in conversions. Once 20+ positive reviews were achieved there was a significant noticeable jump in conversions. Along with PPC advertising there have been monthly storage costs and Professional account subscriptions. Storage is high in Japan and in total of £1350 has been spent on storage. Total subscription fees (at 5880 Yen/month) come to about £365 as of the time of writing. To date roughly 900 units have been sold so with all of these additional costs it works out as about £3.80 per unit. This is quite high but as mentioned at the start of this article the goal was to break even with this first batch of products. Even with these costs Kid Transit are close to being £300 in profit for the sales made so far. However, it should be noted that these profits have only recently being achieved and until this point Kid Transit were making a loss on the products sold. However, as with all new product launches the spend is always heavily loaded at the start of the launch campaign, and this Kid Transit launch was no exception. The profit made so far combined with the 27 positive Product Reviews and 12 positive Seller Feedback gained mean that our initial goals have not only been met, but they have been exceeded. Kid Transit’s customers have been contacted with respect and not aggressively, and therefore the reviews and feedback results are very positive. These reviews are expected to rise to over 30 for the products already sold because our customer emails are ongoing, and there are still 100 units left in stock to sell so we expect this number of reviews to approach 35 to 40. Seller feedback should get close to 20 by the time all products are sold and customers followed up with. Launching a brand new product into a brand new marketplace is not easy. You cannot expect instant results and things do not always run smoothly. However, by following a tried and tested process and being willing to invest at the beginning allows you to steadily gain traction. This leads to a more established product listing (and seller account) that forms a solid foundation for future product sales. Kid Transit’s launch has been a success and they look forward to future sales and profits. A new batch of units are being manufactured and readied for sale on Amazon Japan. Are you interested in selling on Amazon Japan?